Online gambling can be a lot of fun for those who love to gamble, and it has become increasingly popular in South Africa in recent times. Being able to sit behind your computer saves you the effort of driving to a casino, and you still reap all the benefits of one. However, one needs to be careful when gambling online and there are certain tips which everyone should know about. Read on for some tips on the dos and don’ts of online gambling. Most online casinos offer players the opportunity to start out with virtual money so that they can get to know the rules for the games and get a feel for how things work without losing any of their own money. It is a good idea to do this before progressing onto gambling with real money. 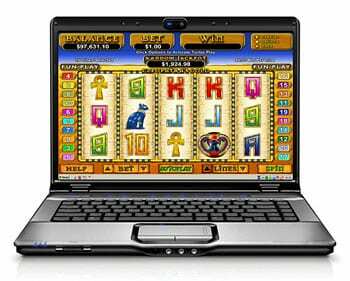 When gambling online, it is easy to lose track of time as one can get very caught up. It is important to take regular breaks in order to get your brain to recharge. Take a break every 20-30 minutes or so and avoid playing for hours on end as this is not healthy. If you like, set an alarm to remind you to take these breaks. We all know that when under the influence of alcohol, one is not able to make rational and clear decisions. It is therefore not a good idea to drink while you gamble online as you need to be able to think clearly. Otherwise, you may wake up the next morning and realize that you have lost a lot of money or played with a lot more money than your budget allows. Alcohol may also affect your gambling skills, which can also result in you losing money! Of course it can be very discouraging when losing at an online casino game, but it is important to be able to accept any losses which may occur and move on. Some people have better luck than others, so keep this in mind and try not to take gambling too seriously. Play within your budget so that if you do lose, it won’t affect your wallet too severely. Gambling should be seen as a fun pastime which won’t ruin your life. Last but not least, do not play decision-based games unless you are clear on how the strategies work. Games like Blackjack and Poker are good examples of this. Make sure that you are familiar with rules and strategies before you go spending your money. We hope that these dos and don’t have helped you along your online gambling journey!